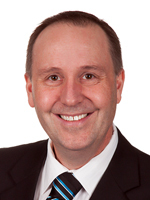 Mike Bernier was re-elected MLA for Peace River South in 2017. Mike is currently the Official Opposition Critic for Oil and Gas Development and sits on the Select Standing Committee on Legislative Initiatives. Before being elected to the Legislature in 2013, Mike served as mayor of Dawson Creek, elected in 2008 and re-elected in 2011. He also served as a Dawson Creek city councillor from 2005 to 2008. Mike has lived in Dawson Creek since 1993 and has 20 years of experience in the natural gas industry.